As predicted, the SAG Awards delivered some of the most creative jewelry worn on the red carpet for the entire Award Season. There was jewelry joy in all the bold necklaces that made an appearance for the occasion. Lots of divine earrings lit up the stars’ lobes. The biggest surprise was the matching set of jewels from Cartier worn by Amy Adams. I have long loved the glamorous quality of a matching set but it’s something that stars have steered clear of for around 70-years. There was an inkling matchy-matchy might be making a comeback with the sweet set Emma Stone wore in La La Land. This is officially my second sighting. One more time and we have a trend. I am keeping score. 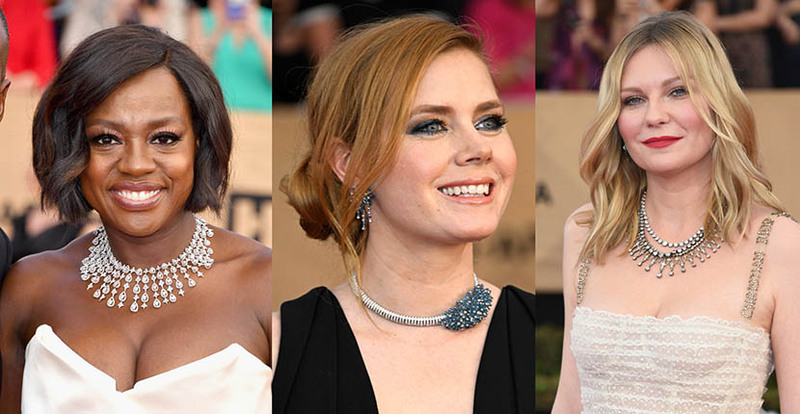 See the best jewels from the Screen Actors Guild Awards below. 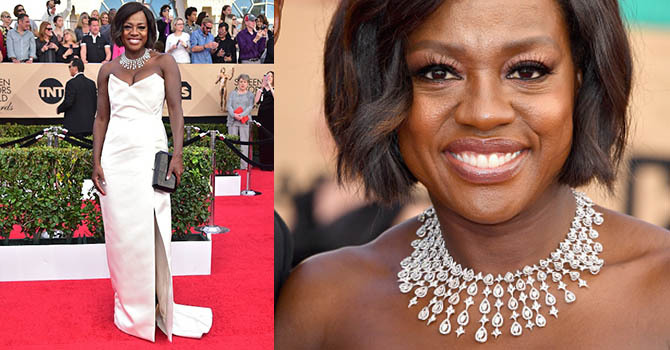 VIOLA DAVIS: The winner of the Best Supporting Actress for her role in Fences looked amazing in a diamond bib necklace from the Indian jeweler Nirav Modi and a light pink gown from Vivienne Westwood. AMY ADAMS: The Arrival star landed on the red carpet in a black Brandon Maxwell gown and a matching suite of Cartier High Jewelry set with sapphires, aquamarines and diamonds in white gold. The jewels in the set included a necklace, bracelet and earrings in the photo on right. KIRSTEN DUNST: The veteran actress, who attended the SAG Awards with her cast mates in Hidden Figures, lit up the red carpet in a Dior white dress and vintage fireworks from Fred Leighton. 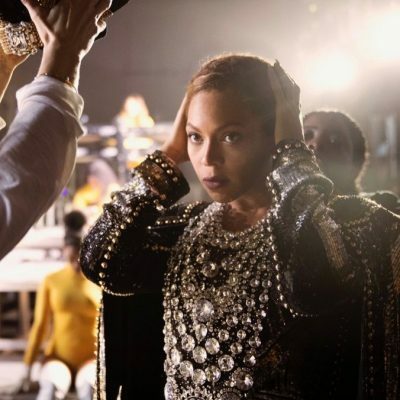 Her layered necklaces included a 42-carat antique diamond fringe necklace and an antique diamond rivière necklace. 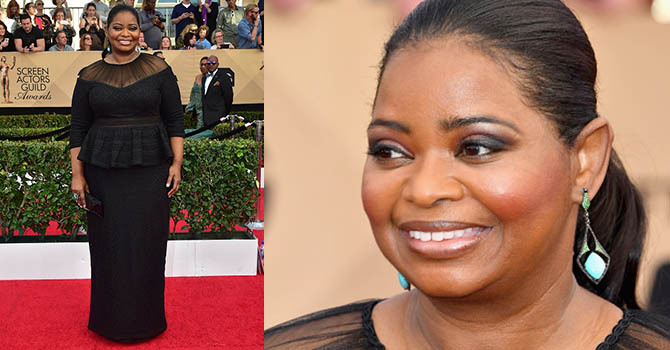 OCTAVIA SPENCER: The Hidden Figures star added a splash of color to her not-so-basic-black Tadashi Shoji gown with pedant earrings by Jacob & Co. The gorgeous jewels are set with turquoise, diamonds and garnets. Spencer also wore a ring that coordinated with the earrings. NATALIE PORTMAN: The pregnant star of Jackie was among the angelic set who wore white dresses and diamonds on the red carpet. She paired her Dior with Tiffany diamond and platinum pendant earrings and a bracelet as well as a ring with a yellow sapphire center stone. 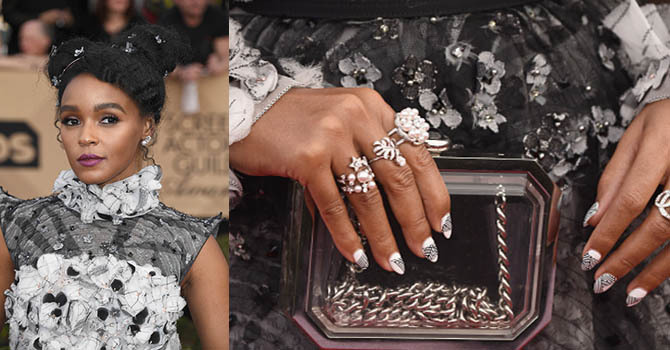 JANELLE MONAE: The singer who made a splash in the casts of Moonlight and Hidden Figures carried out her signature black and white colors on the red carpet in a Chanel dress and Chanel fine jewelry. BRIE LARSON: The 2016 Best Actress winner looked extraordinary in a white Jason Wu gown and diamonds from Repossi. EMMA STONE: The La La Land star looked edgy and elegant in a floral and lace Alexander McQueen gown and Tiffany jewels. Her stick diamond and platinum pendant earrings featured chrysophrase accents. 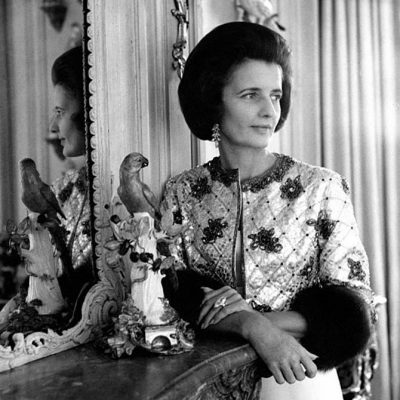 Her white open bangle was accented with two round diamond motifs.